1. What is the durability of the flooring? When will I have to re-coat again? 2. Can you pull-up my old floor coverings? Yes or we can arrange it for you, please feel free to ask our salesperson for more information. Extra charges will apply if we are not told about glue, paint & or other substances on the floor which is seen after the proposal or when the customer pulls up the floor coverings. 3. How many coats do you apply and how long will it take? We apply three coats on Internal timber floors – a base coat and then two top coats. The second coat is sanded and vacuumed after application. Drying time is approximately three to eight hours per coat and you can move furniture back in 24 hours after last coat. Light furniture can be moved in after 12 – 24 hours. Very Heavy furniture can be moved in after three days. All Furniture must be lifted and don’t lay rugs and mats for 2 weeks. 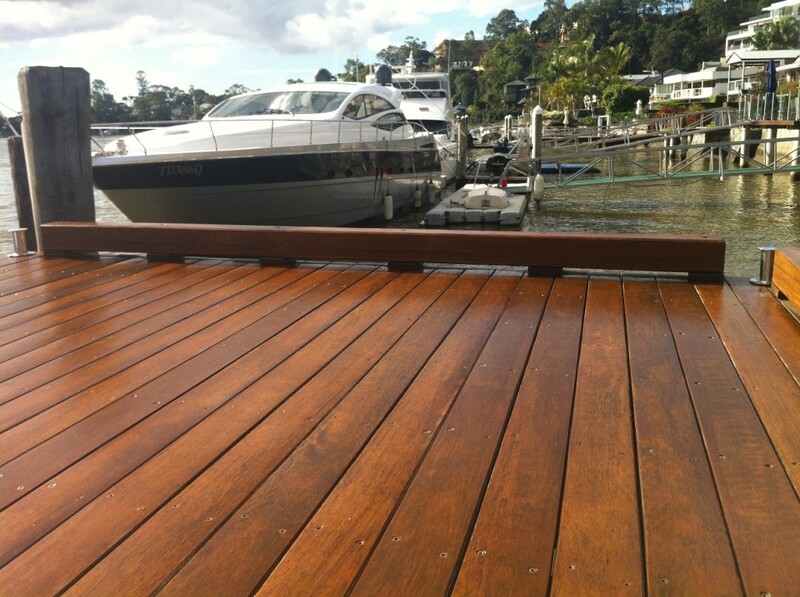 Timber Decks receive 2 coats. When the clouds open up & rain we will endeavour to finish your job on time, sometimes we need to delay your job by 1-2 days or a week. Sorry, we wish we could clap our hands & it stops but we are working on it. 4. Do we need the power to do our job? The job will require power on site. Each room must have at least one power point and we will require 240 volts to those power points. No builder power poles or having power leads from next door are not acceptable. 5. Will I have to move my own furniture out of the way for the job to start? Furniture is always moved by yourself, or you can use a removalist company. Plus take paintings, plates & any other objects that may be of your concern. Because the vibration does funny things to objects. Pull curtains or blinds down that are close to the floor. If they are still up when our staff arrives we will put them up for you but we take no responsibility of any damage caused. blinds/curtains for the job to be done? Yes it’s up to customers to move their own appliances before we come on to the site. Handy tip: Please could you disconnect your stove before work begins. Your floor is a lifetime investment, in order to protect it always LIFT the appliances from one hardboard sheet to another this way no damage occurs in the moving. We take no responsibility of any damage caused. Please feel free to ask our salespeople if you require any further advice on this issue. 7. What do we do about stains on the floors from water and other substances? A warning to all customers: Wood is a porous material and water will stain the timber, in most cases, sanding will remove some of the stains but the coating will bring them back sometimes you could be lucky. Each floor is unique; it will depend greatly on how long the damage/leak has gone on for. Once the stain is there we are sometimes unable to remove it. We are unable to take responsibility if these stains/coatings/etc affect the coating going on your floor. This may take week’s months or years to come up threw & in some cases for the marks or patches to appear, but it is a very rare occurrence for contaminants to come to the surface. Floorboards will have to be assessed by the quoter after the floor coverings have been Lifted as glue/paint can cause blockages in the machinery this will be an extra charge to get glue/paint off the floor. Most glues/adhesive from old Vinyl, Tiles, Carpet & etc will stain the timber flooring. 8. What do we do about all the rubbish at the end? We will endeavour to clear up all the rubbish and place it near your bins. 9. What to do about staples from old floor coverings? It is advisable for the customer to remove all staples from the floor before the sanding commences. We will advise you, if necessary on the best method to remove staples but usually, a pair of vice grips will do the job adequately. Additional charges will be applied if they are not all pulled out. 10. Who does the repairs to the floors? Repairs and replacement of timber flooring timber should be done by a carpenter or handyman. Second-hand timber is best for old floors and this can be found in demolition yards, but may take some time to find. 11. What do we do about holes and knots in the floors? We will endeavour to fill the knots in the timber flooring with putty where possible. Larger holes may need a piece of wood to be placed under the hole, then plugged with a wooden plug of the same material as the flooring and filled round the edges. Please tell us if there are any holes in your floor when you accept our proposal. 12. Removal of old glue and paint? Old glue can be removed and we recommend a separate company to do this work for you. They will also remove lead paint. Ask our salesperson to let you know what this additional charge would be. Handy tip* lead testing can be done by you. These can be obtained from a paint shop. Extra charges will apply if we are not told about glue, paint & or other substances on the floor which is seen after the proposal or when the customer pulls the floor coverings. Please advise our Quoter if you have paint or glue on your floor & if this is missed or not on your quote this will be an extra charge. 13. Skirting boards, kick boards, architraves and walls? Due to uneven skirting boards & timber floors not being level, this may create some damage to Skirting boards, kick boards, architraves and walls. We will endeavor to take the utmost care not to damage the skirting boards, kick boards, architraves, and walls. We strongly recommend that the last coat of paint be applied to the skirting boards after the last coat of floor coatings has been applied to your floors. It must be remembered that new paint can take up to 6 weeks to cure. Our company cannot take responsibility for any damage to paintwork on the skirting boards, kick boards, architraves, and walls or that has not been applied in a correct manner as to the manufacturer’s requirements. 14. Do we stain the floorboards? Yes we do stain timber floors. 15. Do timber floors change in colour? Yes they do. When you have to do a cross join on your timber floor (your old floor may be 1-2-3 years old or more) the colour between the two areas will be different. They will not match. 16. Do you fill the gaps between the floorboards? Gaps between the floorboards should not be filled as the floorboards should be allowed to move freely. As timber is always taking in and releasing moisture so the floorboards actually grow and shrink with time. 17. 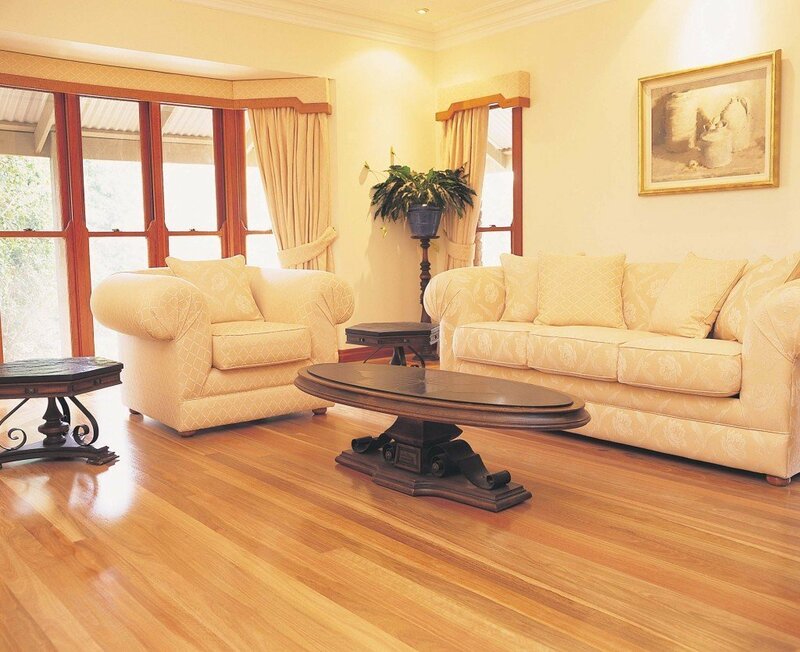 Can you re-coat polished timber floors? Re-coating can be done any time that you feel it is necessary. When recoating boards that have been polished previously we take no responsibility of any problems that will occur. Grain raise occurs when a liquid soaks into the surface layer of timber and causes expansion of wood fibres in the surface layer. These may protrude out from the surface and give a ‘furry’ feel to the timber. If coated while in this state, the protruding grain raise may be locked into the first applied coating and give a ‘rough’ feel and surface appearance. The condition may be uniform across a floor or be isolated to a few individual boards that may have had a certain mill cutting technique. A degree of visible grain raise within the coatings is often referred to as ‘the European look’, where it is considered normal if not desirable to have this effect in northern Europe. A degree of grain raise is to be considered acceptable. What timbers are more prone to grain raise? Tasmanian Oak, Victorian Ash, Kwila, Messmate, Softwood pines including, Radiata, Slash and Hoop species, Baltic Pine, Northern Hemisphere Larch, European Oaks, Blackbutt. 19. We advise that all furniture and vehicles are to be removed from underneath your home & Decks whilst the floor sanding and finishing is being carried out. If you have no other alternative, please make sure that everything is completely covered as we will not take responsibility for any varnish/coating spilling through floorboards onto items underneath the home or Decks. To arrange a FREE no-obligation visit to quote or to just discuss your requirements on the phone, call our office now on 0731234036 or Contact Us and we will arrange for the Manager of our office to call you back within 48 hours.